Can I be arrested for a DUI if I wasn't driving? It may surprise you to learn that it's quite possible to be charged with driving under the influence even if you weren't actually driving. As long as you were in physical control of the vehicle, a Virginia law enforcement officer has grounds for an arrest. If you were sleeping in the back seat with the vehicle not running, you wouldn't be considered in physical control of the vehicle. Physical control requires the reasonable belief that you'd be able to operate the vehicle given your current position. Cases involving physical control carry the same penalty as a DUI arrest when you were actually driving, but the good news is that the court is skeptical regarding this type of charge. If you can show evidence that you were waiting for a designated driver or simply trying to sober up before heading home, you may have a solid defense. A DUI charge is a serious matter, even if it's your first offense. If you've been charged with drunk driving and you weren't driving at the time of your arrest, Virginia DUI attorney T. Kevin Wilson can help you build an aggressive defense. Call today to schedule a free, no-obligation initial case review. The officer did not use radar to document my speed, but instead used something called lidar. What is it? If you frequently watch cop shows on TV, you're probably familiar with the practice of using radar guns to track speed. However, if you've been charged with reckless driving by speed under Virginia law, your speed may have been checked with lidar. RADAR stands for RAdio Detection And Ranging. It's been used by law enforcement since the 1950s and uses radio waves to determine the speed of vehicles that are in the beam. The calculation involves both radio transmit frequency and the returning signal frequency. LIDAR is a newer technology. This acronym stands for LIght Detection And Ranging. Lidar uses lasers to detect the speed of vehicles that are in the path of the beam. The advantage of lidar is that it allows officers to more accurately hone in on one specific vehicle. Although lidar is thought to be slightly more accurate when determining the speed of vehicles that are traveling in heavy traffic, both radar and lidar usage are acceptable for the purpose of issuing a reckless driving ticket. You can be charged with reckless driving if your speed was measured at 20 miles or more over the speed limit or over 80 miles per hour, regardless of the posted speed limit. It does not matter whether the officer used radar or lidar to measure your speed. However, the officer does need to be able to prove the device was functioning correctly. This involves producing a calibration certificate issued within the last six months. Working with an experienced attorney is the best course of action after receiving a reckless driving ticket. T. Kevin Wilson is dedicated to helping Virginia drivers build an aggressive defense against reckless driving charges. Call today to schedule a free, no-obligation case review. I'm an international student studying in the U.S. What will happen to me if I'm convicted of reckless driving? As an international student, it's important to be very aware of the consequences of a reckless driving conviction. Although a reckless driving charge is a serious matter for any young person, it can present special immigration concerns for international students. Driver's license suspension of 10 days to six months. You may not be allowed to leave the country until your case is resolved, which could complicate travel plans to visit friends and family. Your arrest will be entered into NCIC (National Crime Information Center) database. This might cause delays in your ability to reenter the country if you return home for a visit, leaving you to potentially miss important class time. If your reckless driving charge involves other offenses that result in you being expelled from school, you're automatically in violation of your visa. You will be required to acknowledge your arrest record when you apply for renewal of your visa or a green card. If you are nearing graduation and wish to work in the U.S., your arrest may make it more difficult to pass a pre-employment background check. Even though your budget may be tight as an international student, it would be a mistake to forgo legal representation. Virginia's reckless driving laws can be quite complex and it's difficult to adequately defend yourself when English is your second language. An experienced reckless driving attorney can help you build an aggressive defense to reduce or drop the charge. Call Virginia attorney T. Kevin Wilson today to schedule a free, no-obligation case review. Do I Need to Hire a Lawyer If I've Been Accused of Reckless Driving in Virginia? Can I be arrested for reckless driving in Virginia if my driver's license is from another state? When you're traveling in Virginia for business or pleasure, it's important to keep in mind that the state's laws apply to all motorists regardless of where their license was issued. This means that you can be arrested for reckless driving in Virginia even if your license is from another state. 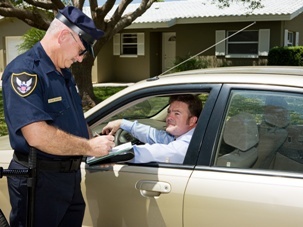 In addition, there is a general rule that allows an officer to arrest you for reckless driving if he believes you are operating your vehicle in a way that endangers the property or safety of others. You do not have to actually cause an accident to be charged with reckless driving. The Interstate Driver License Compact is an agreement between states that allows offenses committed out of state to be treated as though they were committed in your home state. This means that a reckless driving charge in Virginia will result in whatever penalties your state would apply if you had committed the offense at home. The Interstate Driver License Compact applies to all states in the U.S. except Georgia, Massachusetts, Michigan, Tennessee, and Wisconsin. An experienced reckless driving lawyer can help you build an aggressive defense against the charge. In many cases, your lawyer can appear in court on your behalf so you don't need to travel back to Virginia to take care of the matter. To learn more, call Virginia reckless driving attorney T. Kevin Wilson to schedule a free, no-obligation case review. If my license is suspended for reckless driving in Virginia, can I still drive in other states? If you're a frequent traveler, keep in mind that a Virginia reckless driving conviction will affect your ability to drive across the United States. When your original driver's license was issued by Virginia, your ability to drive in other states is a privilege based upon other states honoring the Virginia license. If your Virginia license has been suspended, there is nothing for other states to honor. Although it was once difficult for law enforcement to track out-of-state license suspensions, the Driver License Compact makes this task much easier. This is an interstate compact committed to sharing information about the license suspensions and traffic violations of non-residents and forwarding them to the state where they are licensed. The theme for the compact is "One Driver, One License, One Record." The Driver License Compact means that Virginia will eventually find out about any out-of-state tickets you receive. Once notification has been received, Virginia treats the offense as if it had been committed at home. If you're picked up in another state while your Virginia license has been suspended, you can be charged with driving on a suspended license under Virginia law. This is a Class 1 misdemeanor with penalties that include up to one year in jail, $2,500 in fines, and an additional driver’s license suspension to be served after the one you received for your reckless driving charge. The National Driver Register (NDR) maintains a computerized database known as the Problem Driver Pointer System (PDPS) about drivers with revoked, suspended, canceled, or denied licenses. Records include the name, date of birth, gender, driver's license number, and reporting state where the infraction occurred. If your license is suspended in Virginia, you will appear on this database and your application will be denied if you try to apply for a license in another state. Hiring an experienced attorney is the best way to minimize the consequences of any reckless driving charge. Your attorney can explain how your past driving record will affect your case and work with you to build an aggressive defense to reduce or drop the charge. To learn more, call to schedule a free, no-obligation initial consultation with Virginia reckless driving attorney T. Kevin Wilson. What does the prosecutor have to prove in order for me to be convicted of reckless driving in Virginia? If you've been charged with reckless driving, don't panic. A conviction is not guaranteed, especially if you have an experienced attorney on your side. The prosecutor must provide specific forms of proof to get a conviction, depending upon what part of the reckless driving statute you've been charged under. For example, if you were charged with reckless driving by speed, the prosecutor must submit evidence of your speed and proof that the device used to measure your speed was working correctly. If you were charged under the general statute saying you were driving in a way that endangers the life, limb, or property of others, the prosecutor may introduce the testimony of the arresting officer or other witnesses on the road in addition to any applicable dash cam or surveillance video footage. Testimony regarding your demeanor at the time of the traffic stop or statements you made to the arresting officer can also be introduced as evidence if the prosecution feels it is relevant. Regardless of what section of the reckless driving statute you were charged under, the prosecutor must provide proof that you are guilty beyond a reasonable doubt. In cases where evidence is open to interpretation, the charge is typically reduced or dropped because the prosecutor can't meet the required burden of proof. An experienced attorney can help you present evidence to counter the prosecutor's argument. This may include a speedometer calibration to disprove or argue your alleged speed, evidence of improper signage in the area where the offense occurred, or evidence that your actions were the result of a medical emergency or some other necessity. Since reckless driving is a criminal offense that carries stiff fines and the possibility of jail time, it's in your best interest to investigate every possible way of building an aggressive defense. Virginia attorney T. Kevin Wilson is committed to helping drivers protect themselves following a reckless driving charge. Call today to schedule a free, no-obligation initial case review. Should I trust the lawyer who drafted my will to handle my DUI case? Most people don't give a lot of thought to the law until they need help. But, it's important to remember that lawyers generally focus on a few specific areas of the law. This means that the lawyer who drafted your will, handled your cousin's divorce, or helped your friend from college set up his small business is probably not the right person to handle your DUI case. A lawyer's website can often provide some basic details about his or her background, but you can also use your individual consultation to learn more about qualifications specifically related to handling a DUI charge. Other than your law degree, do you have any special training or knowledge related to handling DUI cases? What percentage of your practice is devoted to DUI cases? How many cases have you handled that were similar to mine? How were these cases resolved? Do you regularly practice in the courthouse where my case will be handled? Have you ever been accused of or sanctioned for professional misconduct? Will you be doing the work on my case or will I be communicating with junior associates or paralegals? As you're evaluating potential options for your legal representation, don't be afraid to walk away if you feel that a lawyer's experience doesn't match your needs. The penalties for a DUI are stiff, so you deserve the best defense possible. T. Kevin Wilson has extensive experience using cutting edge DUI defense strategies. He has completed specialized training in standardized field sobriety testing, breath alcohol testing, blood alcohol testing, and police RADAR/LIDAR in addition to serving as an instructor at Prince William County Criminal Justice Academy covering criminal law, criminal procedure, and constitutional law. Call today to schedule a free, no-obligation case review to discuss your legal options for handling your DUI case. Can I lose my job for a DUI conviction? Being convicted of drunk driving in Virginia carries stiff penalties, including fines, jail time, and the stigma of a criminal record. However, one often overlooked aspect of a DUI conviction is how it may affect your employment prospects. Do I Have to Inform My Employer of My DUI? You are not legally required to notify your employer of a DUI arrest or conviction. If you apply for a restricted license after a DUI conviction, however, the court will require proof of your employment and working hours. Depending upon where in Virginia you live, you may need a statement on company letterhead or a signed form that specifically states you're applying for restricted license due to a DUI. Can I Be Fired for a DUI Conviction? When you've been charged with a DUI, you'll want to review your company's handbook very carefully. Many companies require you to report DWI arrests and/or convictions to the human resources department. Every company is a little different, but you are more likely to be disciplined or terminated for a DUI if your job requires driving. For example, a license suspension for a DUI automatically suspends your CDL. Even if you have a restricted license to drive your personal vehicle to work, the restricted license won't allow you to operate a commercial motor vehicle. If you are required to maintain a valid security clearance for your employment, you might run into problems since a DUI conviction is a criminal charge. You may be able to get an exemption for a single offense, but could run into trouble if you have other criminal charges on your record. How Can My Attorney Help Protect My Privacy? If you're concerned about how a DUI conviction will affect your employment, your attorney may be able to schedule your court appearance at a time that won't interfere with your work schedule. Arrangements to serve jail time may require some time off work, but can be handled in a way that protects your privacy as much as possible. Virginia attorney T. Kevin Wilson is committed to helping drivers build an aggressive defense against DUI charges. Please call today to schedule a free, no-obligation initial consultation. Do I have to report a reckless driving conviction on a job application? 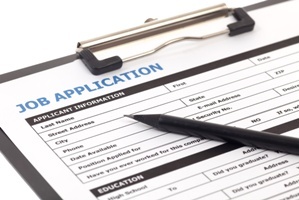 It's becoming common for employers to conduct a criminal background check as a condition of a job offer. As such, you may need to report a reckless driving conviction on your job application. Have you ever been charged with a crime? You need to answer yes to this question, even if your charge is later dismissed. Reckless driving is a criminal offense. Have you ever been convicted of a crime? You can answer no if your charge was dismissed, although a dismissal by completing community service or a driver improvement clinic qualifies as a deferred disposition and may still be required to be reported on some applications. Have you been convicted of a felony? Although reckless driving can sometimes be a felony charge, it's typically only a misdemeanor. If you fail to include the charge when required and are offered the job, you could be terminated at a later date if your employer uncovers the deception. Whether or not a reckless driving charge will affect your chance of being offered the position will depend on the specific requirements of the job and your existing record. A reckless driving charge is more likely to be a problem if the job requires driving or if you already have a criminal record. In many cases, an employer will give you a chance to explain the circumstances behind the charge. It's a good idea to be prepared with an explanation before you go to an interview. Since a reckless driving conviction can make job hunting more challenging, it's never a good idea to just pay the ticket and hope for the best. Virginia attorney T. Kevin Wilson is dedicated to helping drivers build an aggressive defense to reduce or drop reckless driving charges. Call today to schedule a free, no obligation consultation. I wasn’t exceeding the posted speed limit by 20 miles per hour. Why was I arrested for reckless driving speeding? Although many cases of reckless driving in Virginia involve drivers who were exceeding the posted speed limit by 20 miles per hour, you can still be charged with reckless driving even if weren't speeding. Regardless of the posted speed limit, law enforcement officers can charge you with reckless driving if they believe you were traveling too fast for the weather or traffic conditions. Virginia code § 46.2-861 states: "A person shall be guilty of reckless driving who exceeds a reasonable speed under the circumstances and traffic conditions existing at the time, regardless of any posted speed limit." Compared to other aspects of the reckless driving code, § 46.2-861 is very much open to interpretation. The key points to remember when building a defense are "unreasonable" and "given the conditions." If you can show evidence indicating that your behavior was not unreasonable, you may be able to have the charge dropped. You may present evidence such as a past driving record indicating safe behavior, your familiarity with the roads, and the following distance of other vehicles to support your claim. Agreeing to community service or attending a driver improvement class may also be options in some circumstances. Reckless driving is a criminal charge, which makes it much more serious than a simple traffic violation. If you're convicted, you'll face hefty fines, jail time, and the stigma of a criminal record that can affect future education and employment opportunities. The best way to protect your rights is to hire an attorney who is experienced in advocating for drivers accused of this offense. T. Kevin Wilson is dedicated to helping Virginia drivers minimize the negative consequences of reckless driving charges. Call today to schedule a free, no-obligation initial case review. Can I be Arrested for Reckless Driving if I Fail to Use My Turn Signal? Should I cooperate with police if they try to arrest me for a DUI? Being stopped by the police can be an intimidating and somewhat frightening experience, especially when you've been accused of driving under the influence. Cooperating with the officer is in your best interest, but keep in mind that you are not required to submit to a breathalyzer or field sobriety tests if you haven't been arrested. Be polite and respectful. Remember that the officer is only doing his or her job. Don't apologize, admit wrongdoing, or make excuses for your behavior. Provide your driver's license and insurance information when requested. Never, under any circumstances, try to physically resist arrest. You are not legally required to agree to submit to field sobriety testing, but the officer may weigh your refusal to do so when determining if there is probable cause for arrest. If you opt to take a field sobriety test, be sure to inform the officer of any medical conditions you have that may affect the results. For example, a bad knee or an inner ear infection would likely affect your ability to balance on one leg. You do not need to take a preliminary breath test before you've been arrested. This test is often asked for as part of field sobriety testing, but refusing to submit to the test can't be used against you as evidence in court. Virginia's implied consent law requires you to submit to a blood test or breath test only if you've been arrested for a DUI because the officer has probable cause to believe you've been drinking or are under the influence of illegal drugs. This test must be completed within three hours of the time you were arrested. Refusing to take the test results in a one-year suspension of your driver's license for the first offense. A DUI charge requires an aggressive defense from an experienced attorney. Call today to schedule a free, no-obligation initial case review with Virginia DUI attorney T. Kevin Wilson. Can I be charged with DUI and reckless driving at the same time? It is a common misconception that drivers in Virginia can't be charged with a DUI and reckless driving at the same time. While you can't be charged under the general reckless driving statute § 46.2-852, you can be charged with both offenses if your behavior falls under another section of the code. Virginia statute § 19.2-294.1 states, "Whenever any person is charged with a violation of § 18.2-266 or any similar ordinances of any county, city, or town and with reckless driving in violation of § 46.2-852 or any ordinance of any county, city or town incorporating § 46.2-852, growing out of the same act or acts and is convicted of one of these charges, the court shall dismiss the remaining charge." Sometimes referred to as the general reckless driving statute, § 46.2-852 states, "Irrespective of the maximum speeds permitted by law, any person who drives a vehicle on any highway recklessly or at a speed or in a manner so as to endanger the life, limb, or property of any person shall be guilty of reckless driving." § 46.2-864 Reckless driving on parking lots, etc. If you're facing both a DUI and a reckless driving charge, it's vital that you contact an experienced attorney who can help you evaluate your legal options. T. Kevin Wilson is committed to helping Virginia drivers mount an aggressive defense against DUI and reckless driving charges. Call today to schedule a free, no-obligation case review. If the court orders me to complete community service after a reckless driving conviction, what will I have to do? Virginia often uses community service as an alternative to incarceration for people who've been convicted of reckless driving. If you're told to complete community service by the court, you'll be provided with an order that explains the next steps. In many cases, the court will order community service to be completed through the court's community corrections department. 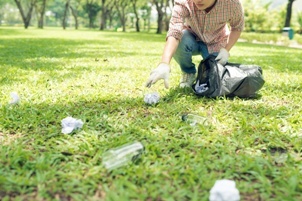 You'll need to contact the department to make sure the community service you want to do will fulfill the terms of the court’s order. The community corrections office may partner with specific agencies to provide community service opportunities or require supervision and formal verification of your hours. If you're not referred to the court's community corrections department, your community service must still be for a recognized nonprofit organization. This can include nationally recognized charitable groups such as the Salvation Army, Red Cross, Habitat for Humanity, or Goodwill as well as local organizations such as a food bank or homeless shelter. You can't under any circumstances volunteer at a for-profit business and use the hours as your court-mandated community service. It is best to check with your attorney before you make plans to begin your community service hours. While volunteering is always a noble endeavor, it's important to make sure your hours can actually be used for their intended purpose so you're not forced to complete them twice. If you're not ordered to complete community service by the court, volunteering to do so before your case is heard by the judge can be a good way to express remorse for your actions. Judges are often more likely to be lenient with offenders who show this type of initiative, but you'll want to explore this option further with your attorney to determine if it's the most effective use of your time. Reckless driving is a criminal offense, not a simple traffic ticket. A conviction carries hefty fines, the possibility of jail time, and the stigma of a criminal record. Don't simply pay your ticket and hope for the best. To learn more about your options, call today to schedule a free, no-obligation initial case review with Virginia reckless driving attorney T. Kevin Wilson. How should I prepare for my first meeting with a reckless driving defense lawyer? If you've never required legal assistance before, you may be wondering what to expect when you first meet with a reckless driving defense lawyer. Fortunately, only minimal preparation is required. Bring any documentation you have. If you have pictures, witness contact information, a copy of the police report, or other documentation that's relevant to your case, bring it with you for the lawyer to review. Be honest. Your lawyer will ask about the circumstances of your arrest, as well as your past criminal record. The questions may seem irrelevant or intrusive, but this information is necessary to build an effective defense on your behalf. Don't be afraid to ask questions. Your lawyer will give you an opportunity to ask any questions you might have about his background and qualifications to determine if he's a good fit for your case. Remember that this is a partnership. Ask your lawyer what you can do to help your case as well as what steps you can take to avoid damaging your case. Read the retainer agreement carefully. You are not required to hire the first attorney you meet with. However, if you decide you would like the lawyer to represent you, it's important that you read the retainer agreement carefully so you understand what costs are associated with representation. Reckless driving is considered a criminal offense, leading to hefty fines, the possibility of jail time, and the stigma of a criminal record if you're convicted. Virginia attorney T. Kevin Wilson has extensive experience helping clients build an aggressive defense against reckless driving charges. Call today to schedule a free, no-obligation case review. Can I Be Arrested for Reckless Driving if the Police Officer Didn't witness Me Doing Anything Wrong? Should I save some money and represent myself after a reckless driving charge? The DIY approach may be a great idea when it comes to making minor home repairs or learning how to cook a dish from your favorite restaurant, but it's not the best plan when it comes to handling a reckless driving charge. Although you have the legal right to choose to represent yourself, this is a decision that can end up costing much more than you'd save in attorney's fees. You have 10 calendar days to appeal any conviction, with the option to request a jury trial on appeal. However, if you're convicted, you'll be stuck with the court costs for the trial in addition to all of the penalties listed above. Virginia's reckless driving laws can be quite complex, which is why it's best to hire an experienced attorney who can guide you through the process. Don't make the mistake of relying on ineffective amateur defenses such as "I was only going with the flow" or "The officer stopped the wrong car." Your attorney can explain how your past driving record affects your case, help you obtain a speedometer calibration or other evidence to support your case, and explore options such as reducing the charge to a lesser offense like improper driving. In some cases, your attorney may even be able to appear in court on your behalf so you don't need to schedule time off work to attend to the matter yourself. Virginia attorney T. Kevin Wilson has extensive experience helping clients build an aggressive defense against reckless driving charges and is intimately familiar with the intricacies of the state's traffic laws. Call today to schedule a free, no-obligation initial consultation. Is it possible to fail the horizontal gaze nystagmus test if you haven't been drinking? Can I be arrested for reckless driving if the police officer didn’t witness me doing anything wrong? Although many Virginia drivers do receive reckless driving citations after a police officer sees them speeding or engaging in other unsafe behavior, an officer doesn't necessarily need to directly witness unsafe behavior to issue a ticket. After an accident, it's actually common for the driver who is thought to be at fault to be charged with reckless driving once an officer arrives on the scene. Although officers generally have a fair amount of discretion when issuing reckless driving citations, this is not the case if an accident occurs. After a car accident causing injury or property damage, officers are considered duty-bound to issue some sort of ticket to the driver thought to be at fault. In many cases, the officer charges the driver thought to be at fault with reckless driving. Since reckless driving encompasses so many different behaviors, this is the charge that's used as a catch-all if the officer isn't exactly sure what happened. You can be charged under the state's general reckless driving laws or under the statute that governs failure to maintain control of your vehicle. If you've been charged with reckless driving, it's important to remember that the facts surrounding an accident are rarely black and white. Providing a reasonable explanation for the accident can reduce your culpability by showing that you weren't engaging in deliberately reckless behavior. 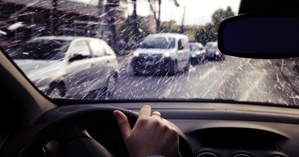 You may have lost control of your vehicle, but it's possible that poor weather, improperly maintained roads, or sudden mechanical problems played a factor in the accident. Swerving to avoid a deer or a child who ran into the road could cause an accident that wouldn't be your fault. Medical emergencies are another example of a contributing factor that you may need to address. Reckless driving is a Class 1 misdemeanor and not a simple traffic ticket. It comes with hefty fines, the possibility of jail time, and the stigma of a criminal record. Protect yourself by consulting an experienced reckless driving attorney to build the strongest possible defense. Call today to schedule a free, no-obligation initial case review with Virginia reckless driving attorney T. Kevin Wilson. I was in an accident after my brakes failed and I was charged with reckless driving. Will I be convicted? After an accident causing injury or property damage, Virginia law enforcement officers are typically considered duty-bound to issue a citation. Even if you believe your accident was caused by brake failure, you can still be charged with reckless driving because you failed to maintain control of your vehicle. However, there are some options available to defend against the charge. Virginia Code Section 46.2–853 allows you to be charged with reckless driving for not having your vehicle under control or having faulty brakes. Officers may occasionally write "improper brakes" or "fail to maintain control" on the ticket, but it's still a reckless driving charge. It may seem unfair to be charged with a criminal offense for having faulty brakes, but the law requires drivers to take all reasonable precautions to prevent accidents. This includes having your vehicle serviced regularly. That being said, you may be able to defend against the change by showing that your vehicle had been regularly serviced and that no problems had been found in a recent safety inspection. Judges have a fair amount of discretion in reckless driving cases, so a sudden and completely unexpected brake failure is more likely to be viewed as an unfortunate accident. Another possible avenue of defense would be to show that your vehicle's make and model had a known history of brake failure. However, this is only appropriate if you had no knowledge of the issue before the accident. If you knew of the issue and failed to correct it, you'd be considered responsible. Reckless driving is a Class 1 misdemeanor, with a maximum punishment of a $2,500 fine, 12 months in jail, and a six-month license suspension. However, an experienced attorney can often build a case to drop or reduce the charge to a lesser offense. Call today to schedule a free, no-obligation initial case review with Virginia reckless driving attorney T. Kevin Wilson.